Sáerlaith Molloy (b. 1994 Ireland) is an emerging young visual artist who practices and lives in Limerick. She received her BA in Sculpture and Combined Media from Limerick School of Art and Design in 2017. Her multi-disciplinary practice focuses on sculptural elements and performance art. Molloy primarily engages with simple raw materials (such as charcoal, paper, inks, dyes, water, books and latex), exploring processes and the ephemeral. She was recently awarded KFEST 2018’s annual ‘Screaming Pope Prize’ this Summer in Killorglin, Co. Kerry and was also featured in Circa Magazines Graduates to watch June 2017 the Irish Arts Review’s Autumn 2017 edition. Her recent exhibitions include ‘KFEST 2018’, ‘Arts Cabaret 2017’ as part of Roscommon’s Culture Night at JJ Harlow’s, Roscommon Town and ‘be. cause 2017’, Limerick School of Art Design’s Degree Show 2017, Limerick. She has also exhibited in RAGAIRE COLLECTIVE #3, Sailors Home, Limerick. The Drawing Awards 2017, Limerick School of Art and Design, Limerick. Kfest 2016,Kilorglin, Kerry. Scarlet Poises 2016, Old Presentation School, Limerick. ABLE 2016, Limerick School of Art and Design, Limerick. The Drawing Awards 2015, Limerick School of Art and Design, Limerick. River Fest - Inflatables Exhibit 2015, The Hunt Museum, Limerick. 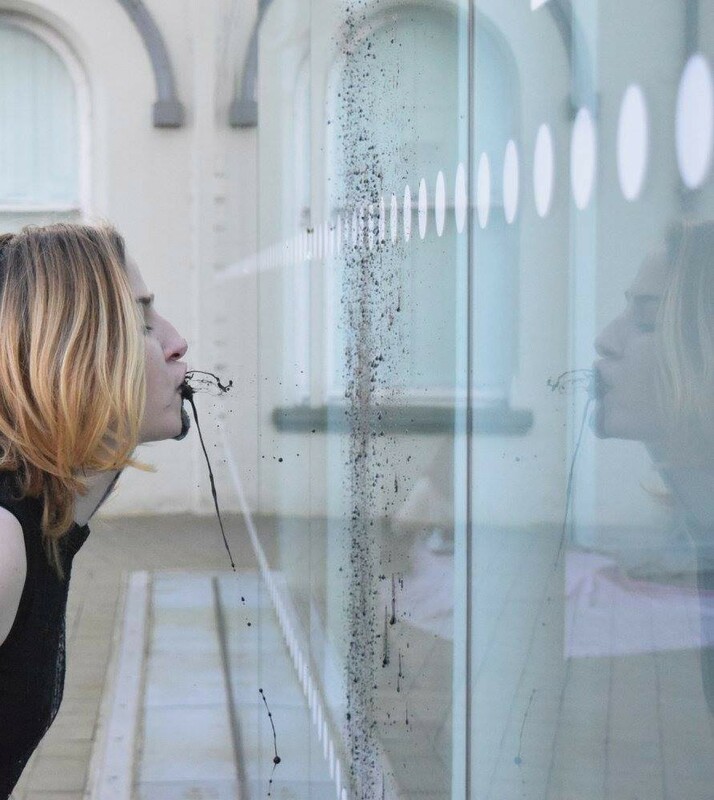 Durational performance, Limerick School of Art and Design.